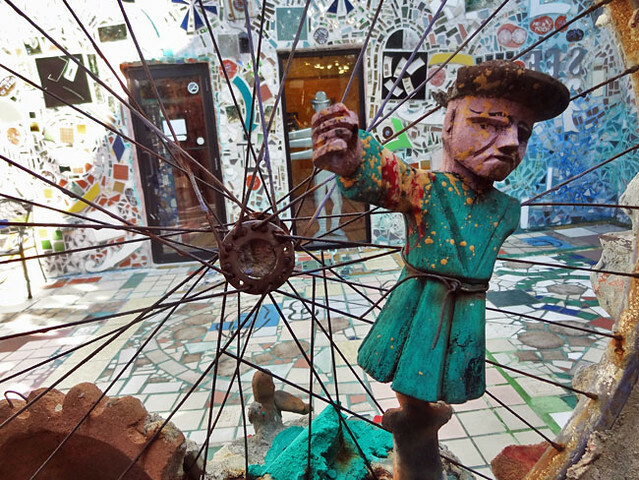 “Magic” is exactly the right word for the Magic Gardens, a remarkable art space at 1020 South Street in Philadelphia. 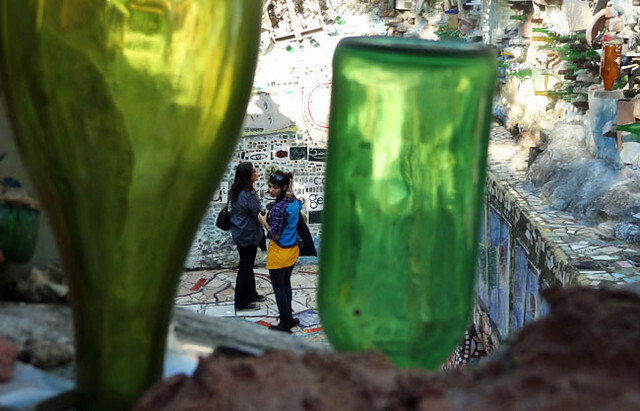 Artist Isaiah Zagar has decorated the entire property with mosaics of glass and repurposed junk such as broken china, used bike wheels, and Latin American toys. This place is trippy even when you’re sober. 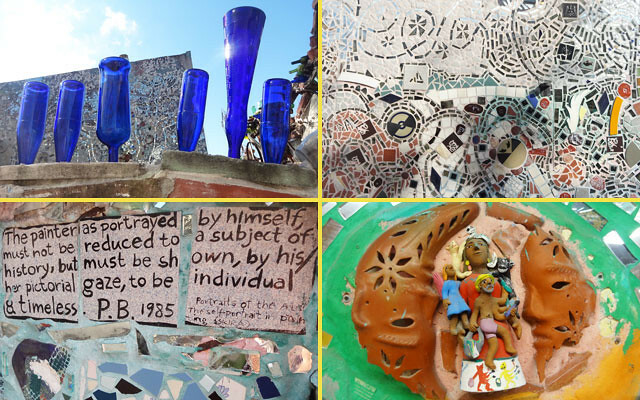 Zagar says, “Art should not be segregated in museums; It needs to live free among us.” For that reason, he creates these public art spaces and welcomes visitors to enjoy the finished products. 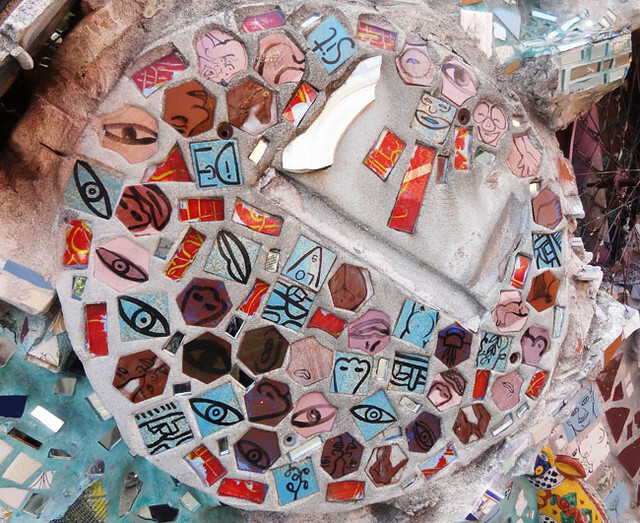 Many of his mosaics are scattered throughout the city of Philadelphia. 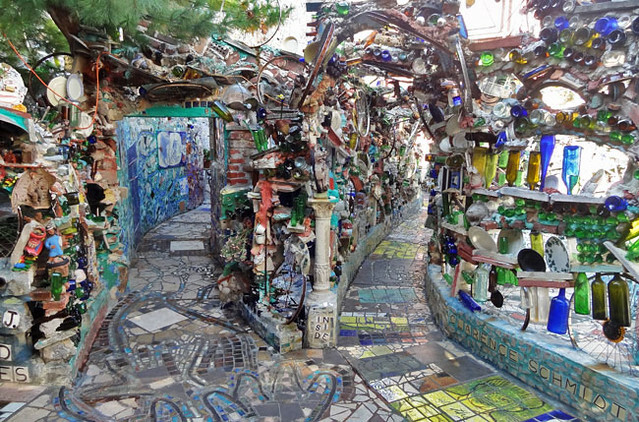 Magic Gardens is the biggest collection of Zagar’s work. Bottles and cans, clap your hands. 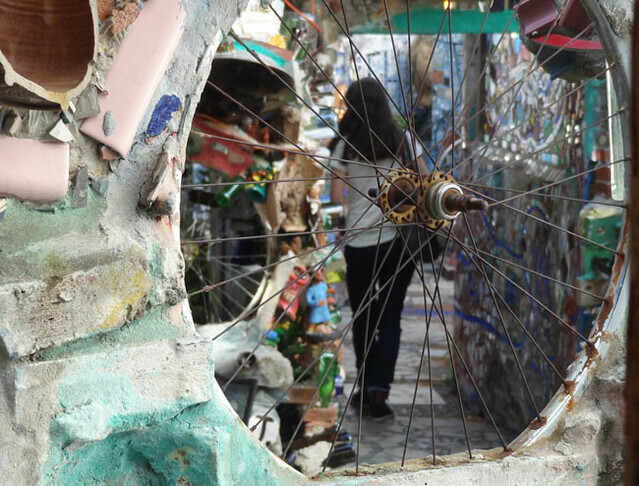 There’s nothing better than turning old junk into art. 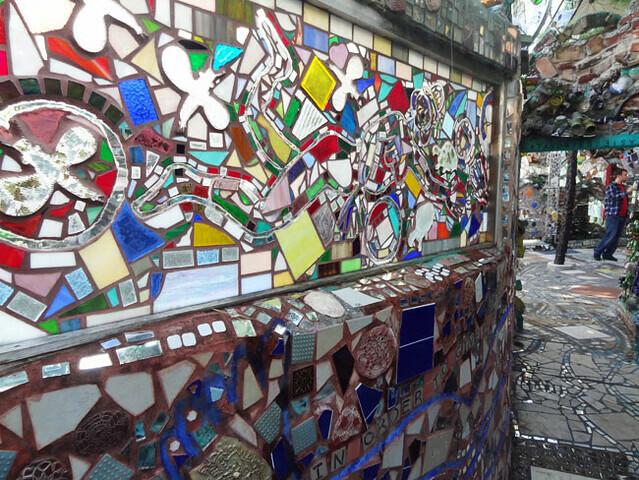 Even though the city of Philadelphia has many famous art museums, the Magic Gardens is my favorite art spot. All of the strange sights make it an Instagram user’s paradise. 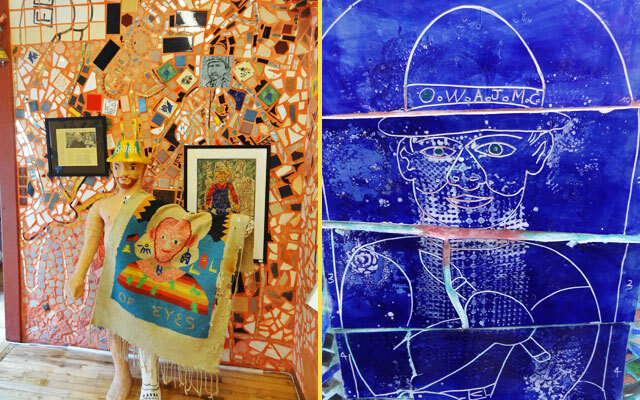 You’re not going to find art like this in a typical stuffy art museum. 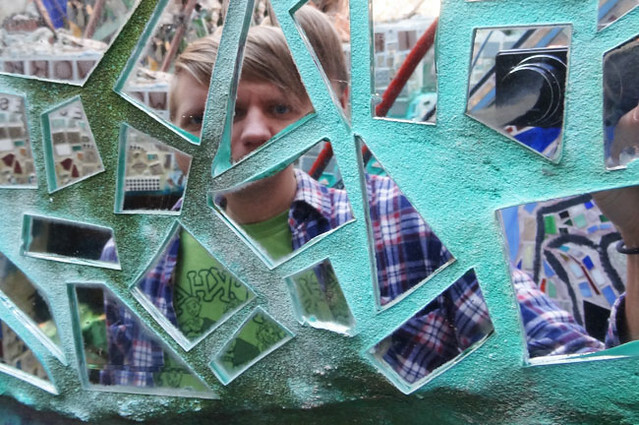 You’ll probably find yourself compelled to take some self pics in the broken glass. I don’t care to reveal how many shots of myself I took. The Gardens were pretty busy when I stopped by. The abundance of visitors created the opportunity for some artsy shots of other guests. This is a large piece of property. 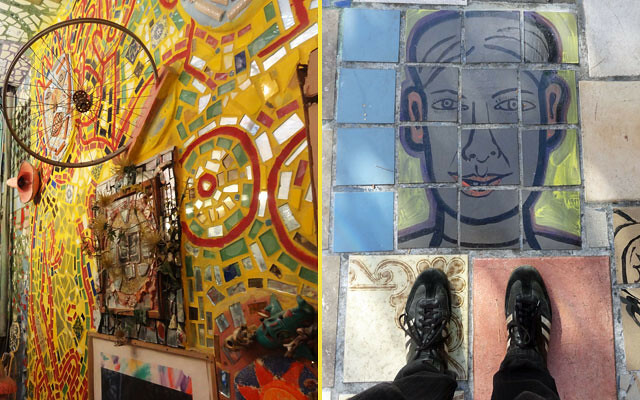 After starting indoors, you head out to the garden area, which doesn’t have any grass at all, since the ground has been tiled and the walls covered with mosaics. The setup is almost like a maze, with various walkways and multiple floors weaving through the grounds. 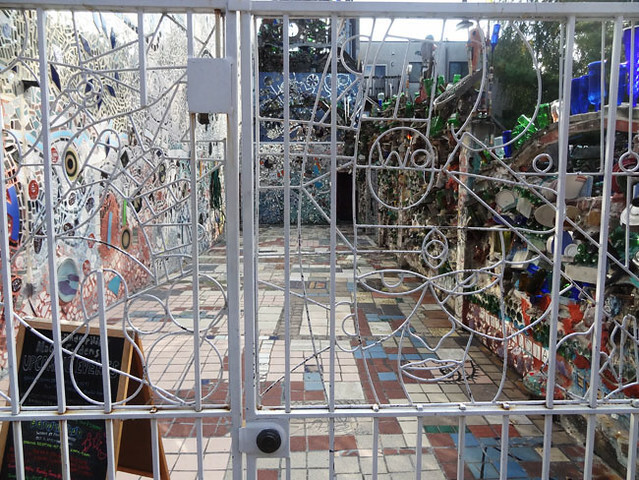 Magic Gardens is a non-profit organization. Current admission price is $7. The Gardens are open everyday, though sometimes they close early for private events. Check out the official website for further details. 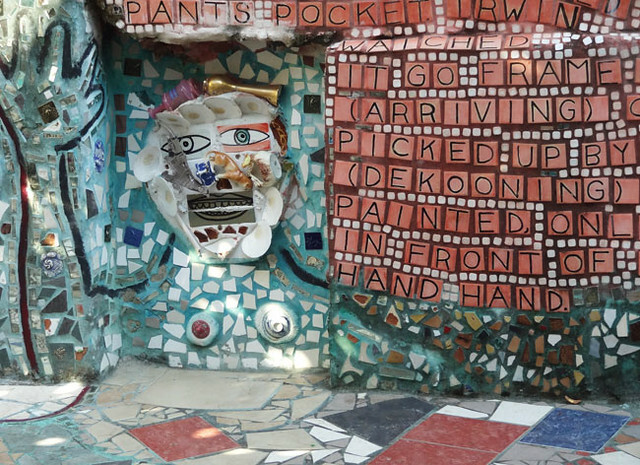 Note: I was a guest of visitphilly.com at the Magic Gardens. That is so cool. 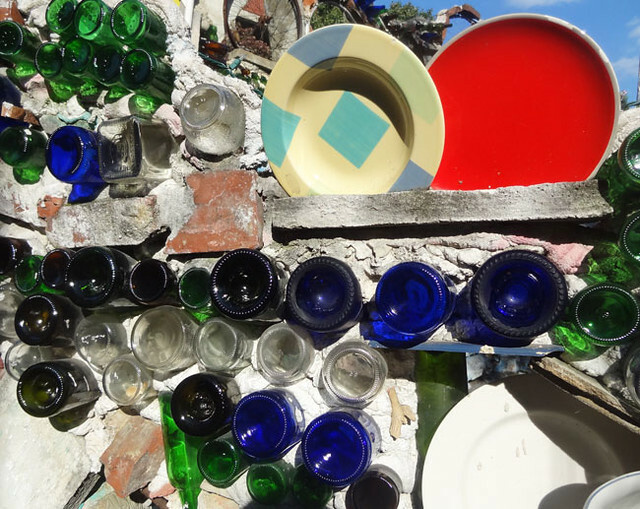 Love the artistic upcycling. I wonder how he came up with the idea! I never thought of visiting Philadelphia before, but I have a feeling my camera would party there. Love the creativity! Oh yes, the cameras love this place. WOW!!! Those are beautiful works of art. 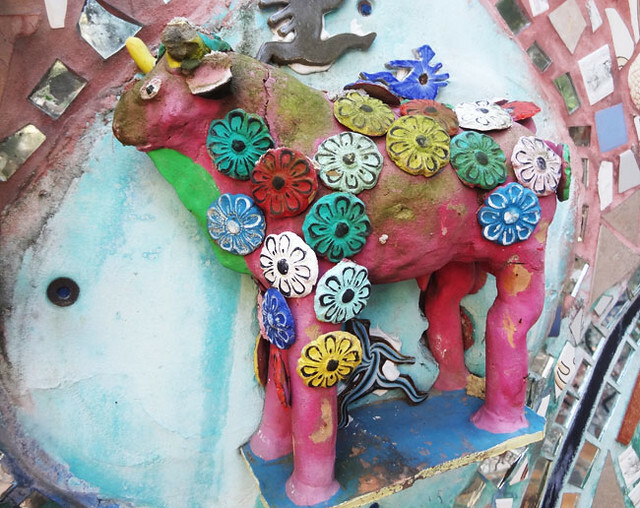 What an amazing use of recyclable materials. I’d like to hop on a train to Philly right now to see it. Thanks for letting me know about it. Lovely photos. What a cool place! I wish I was more creatively minded. This guy is more creatively minded than all of us! I saw the exterior of this place while exploring south street one cold evening so many years ago. 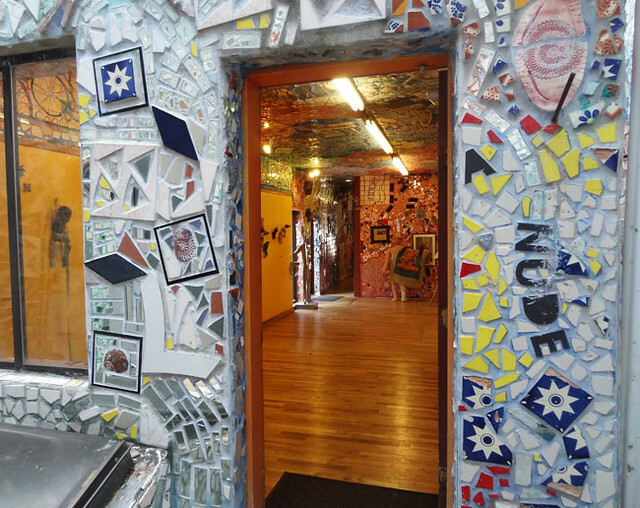 It looked so cool from the outside, but your pics inside are even more stunning. Would love to go back and check this out more in depth. It’s a photographer’s dream in addition to being a really cool place. 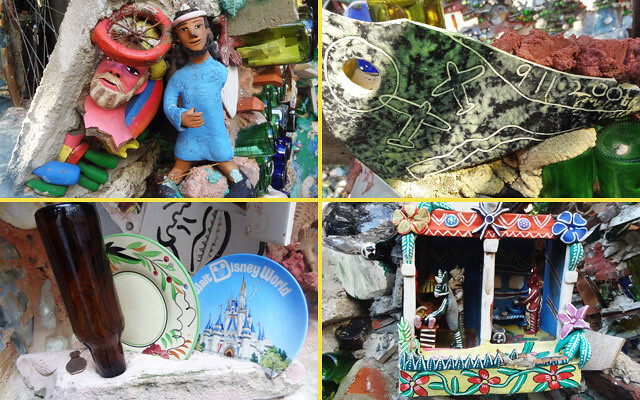 We love these little hodge-podge, bric-a-brac, homemade museums to junk. This is another one for our list! I love those places too. Check it out for sure if you make it back there. You visit the coolest places. I have a feeling I’ll LOVE this place. It’s so quirky! !